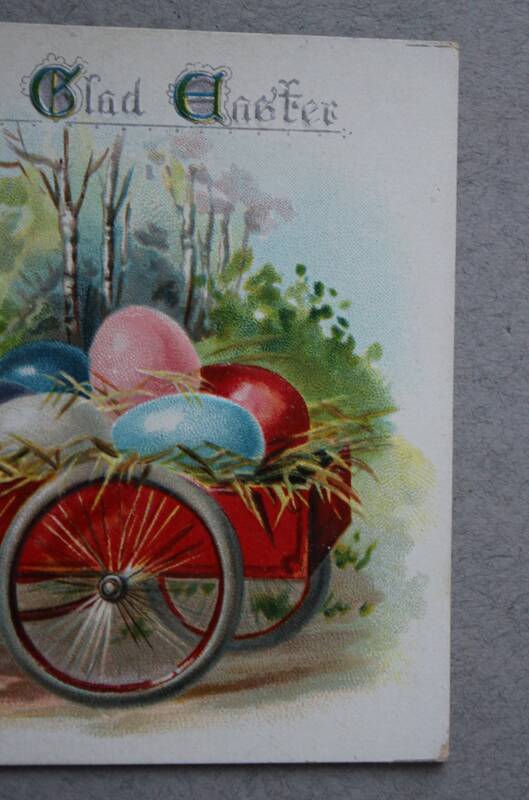 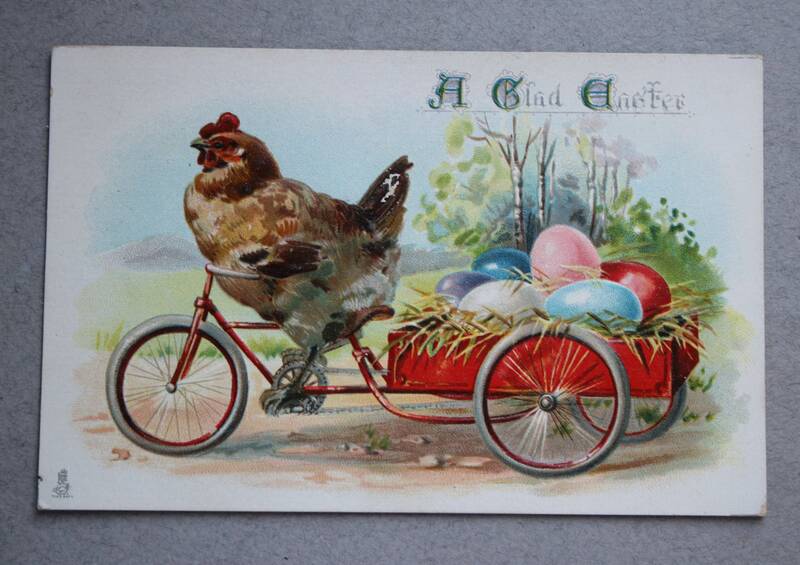 Antique Raphael Tuck and Sons postcard with hen pulling a cart of eggs. 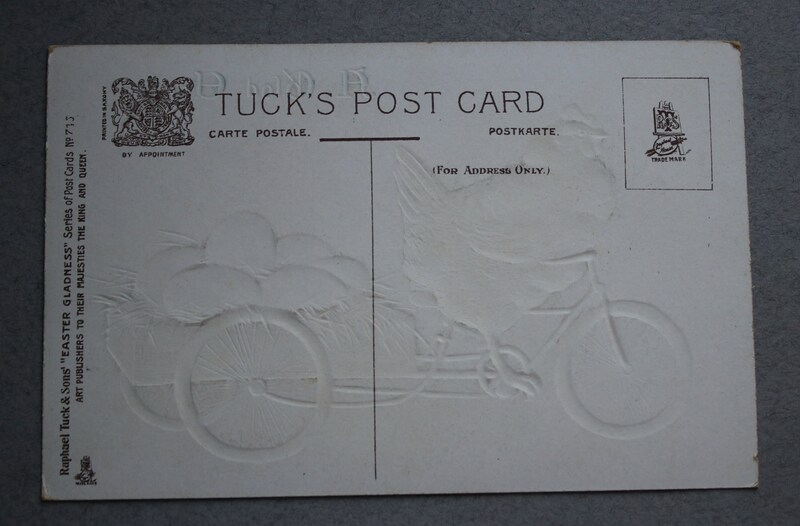 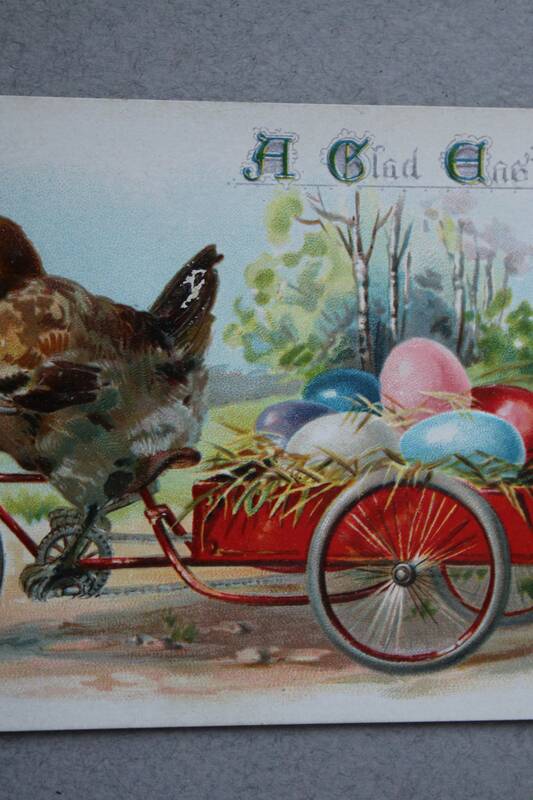 "A Glad Easter" is an older postcard, as evidenced by the Tuck and Sons logo of an easel in the lower left hand corner on the back of the card. 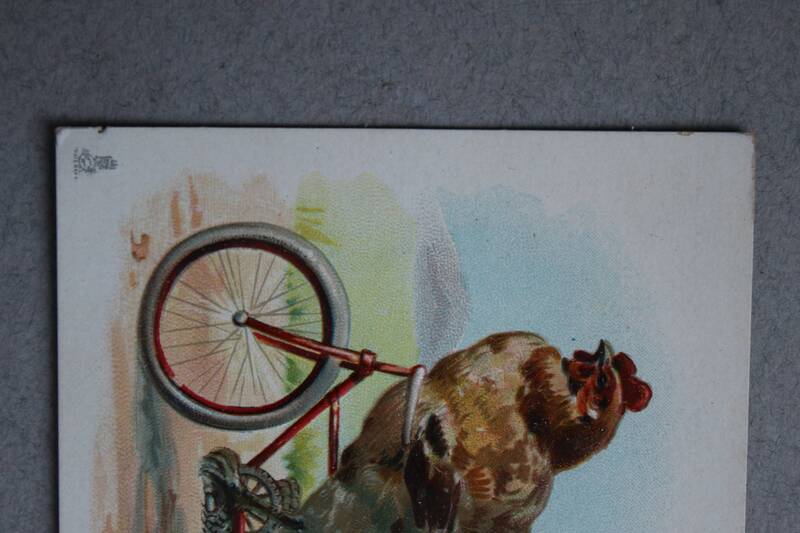 There is wear on the hen's tail feathers. 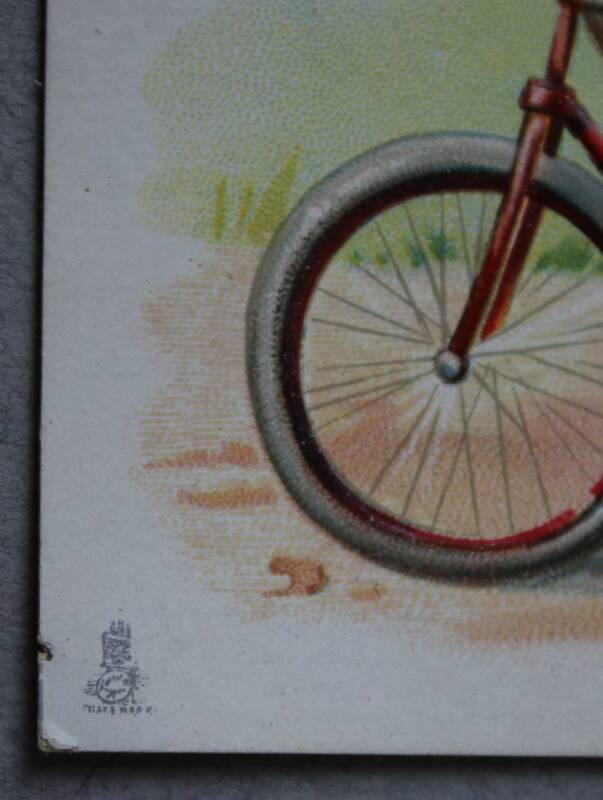 Also, please note edge wear on card.